Our roadshow balloon decorations are designed to draw the crowd to your roadshow! When booked together with our live balloon sculpting service or balloon gifts for giveaways, your sales staff are guaranteed to rope in sit-downs with ease. 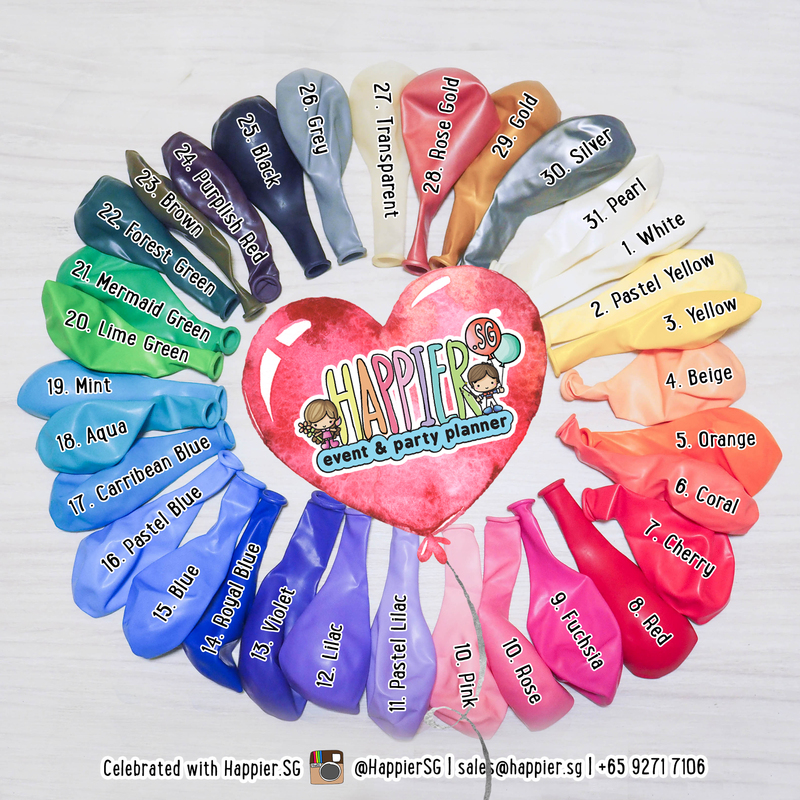 Organising your roadshow events is a breeze with Happier Singapore as our creative balloon artists will inject fresh ideas to your roadshow every time. Whether you have chosen to build a shell scheme booth or run an open concept atrium roadshow, our professional event decorators will bring in the good vibes where ever you go! We will recommend the type of balloon decoration that best fits your event requirements while allowing you to have full control over the design. You can choose your corporate colours, include your branding elements and jazz it all up with the most amazing balloon sculptures. Our roadshow event decorations are usually interactive and create awesome photo taking opportunities to create a lasting brand impression on your walk-in guests! As most of our event decorations are comprised of air-filled latex balloons, they will look their best in the first 3 to 4 hours upon installation, after which the colours will turn slightly frosty due to the natural oxidation process of rubber. Our professional-grade latex balloons are typically able to stay in relatively good condition (with slight shrinking) over 3 to 4 days indoor in a dry cool environment. 3) Ensure that you or an alternative on-site contact person is present to open up the venue for us to access during setup.